Show everybody your organization is in it for the long haul with these USB flash drives. This promo item looks like big rig trucks, but swing the truck cab down and the USB connector is exposed! Best of all, your organization’s name or logo can be boldly printed in full color along the truck’s trailer! Imagine the look of delight when anybody who receives a big rig truck usb drive especially if your business is in the transportation industry. This can expand to potential clients and customers in the truck driver unions, truck repair and services shops, and more. Plus the cap of the truck shaped usb drive remains attached to the drive casing so it will never be lost. 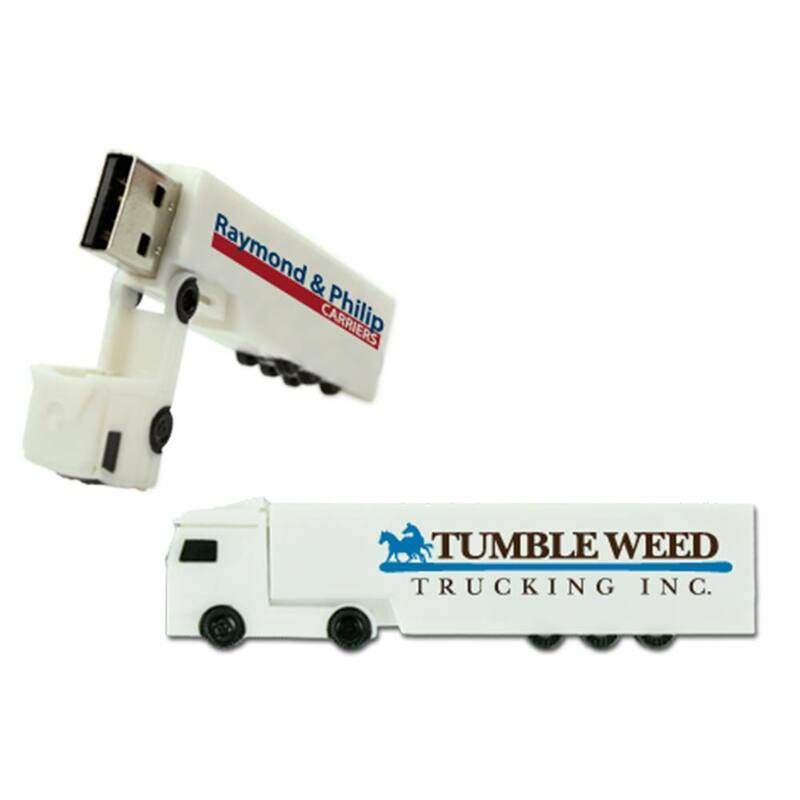 There are many types of items you can hand out but there aren’t many that catch peoples’ attention and are fully functional at the same time like this truck shaped usb drive. 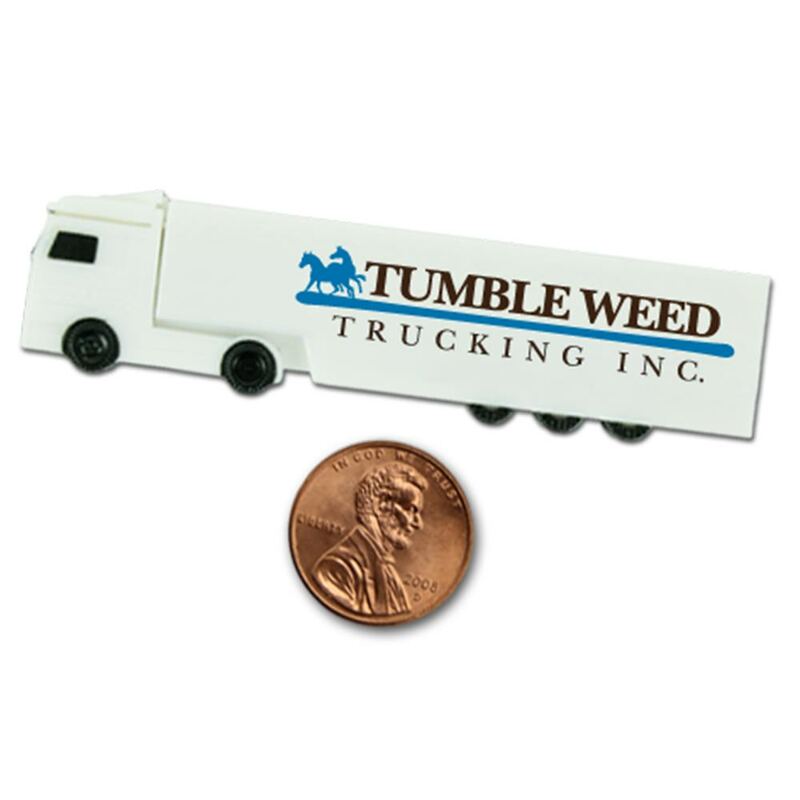 It can be hard to target niche demographics, but the Big Rig truck shaped promotional flash drive makes this easy. 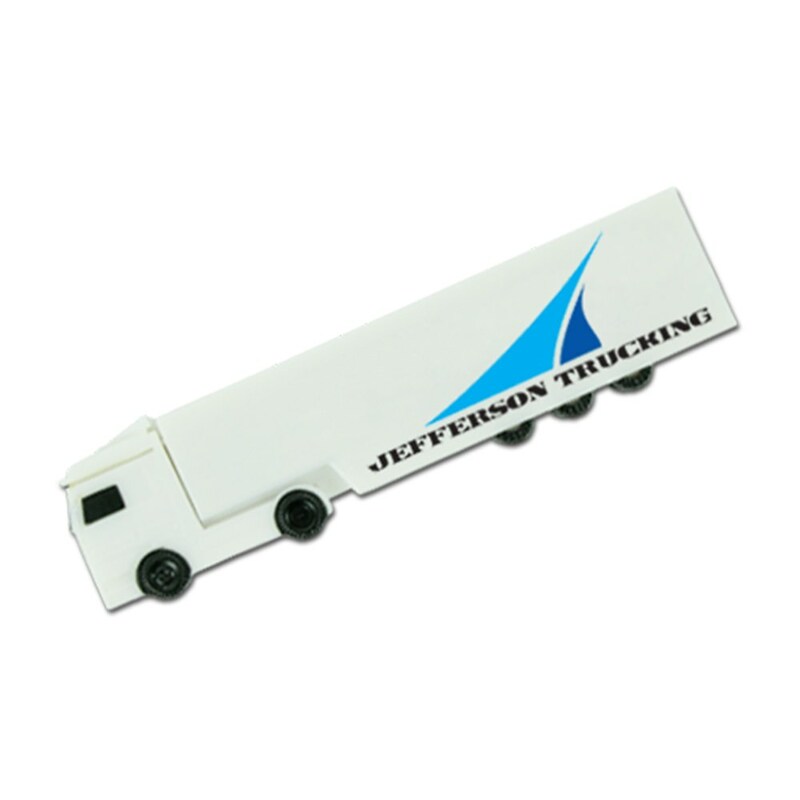 Customers love the fun big rig shape paired with handy data storage and the trailer provides an excellent platform for your custom printed logo or artwork. 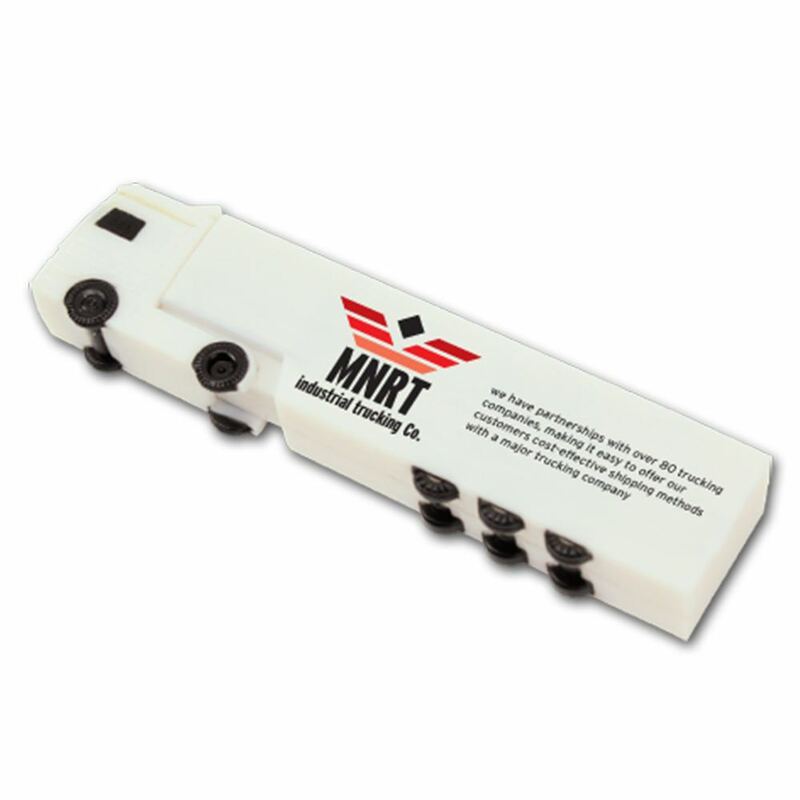 The truck hinges forward to reveal the USB port, acting as a protective cap to ensure long lasting wear and use. 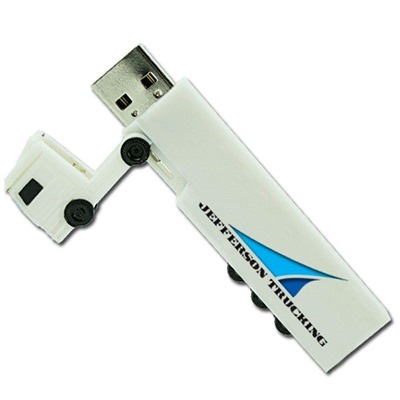 Choose from USB 2.0 or 3.0 transfer speeds and a wide range of storage capacities to appeal to your customers!